Cheater's char siu bao: all the flavors of classic Chinese bakery baked bbq pork bun, in a flash. These easy Chinese bbq pork buns are here for you. You know, for when you have that baked char siu bao craving but aren’t anywhere near a Chinese bakery. 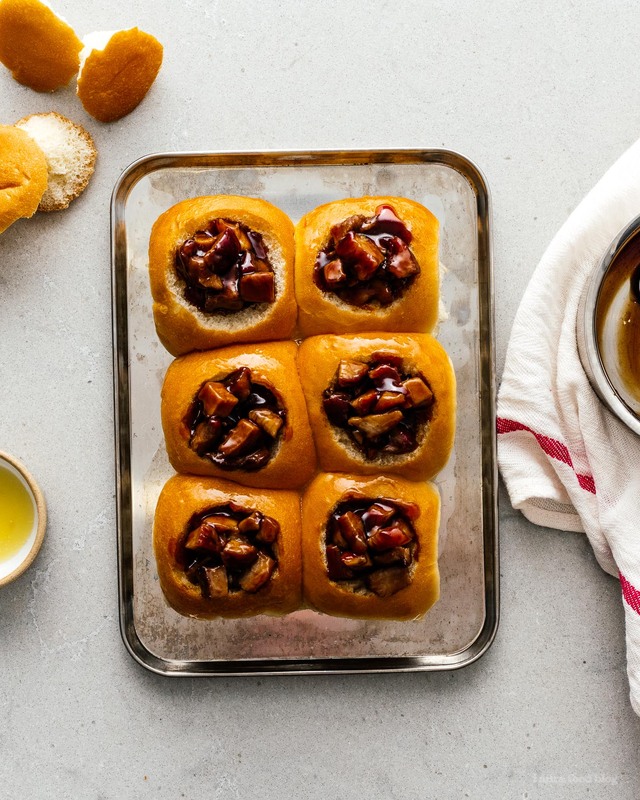 Here’s a question for you: baked char siu bao or steamed char siu bao? For me, I can never really decide. Steamed are so fluffy and pillow-y and associated with cozy dim sum memories. Baked are grab and go and also pillow-y soft and delicious. It’s a dilemma. 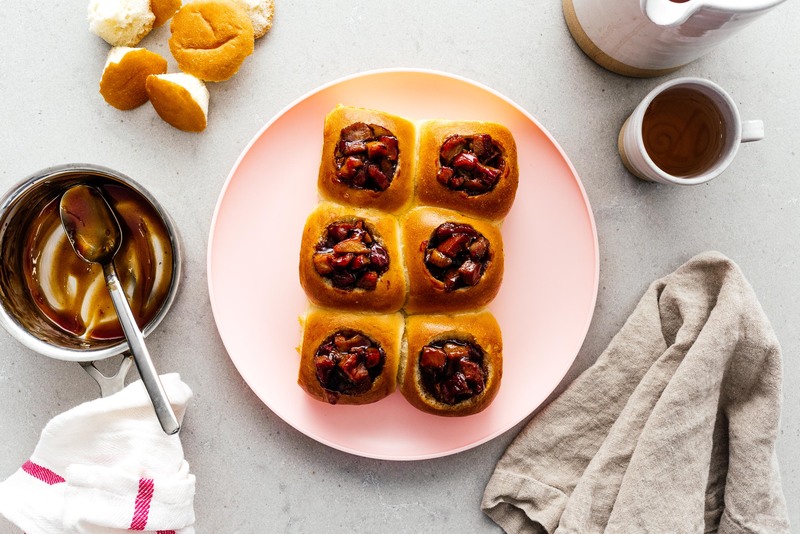 What isn’t a dilemma are these cheater’s baked char siu bao. They’re super easy to throw together and they taste AMAZING. 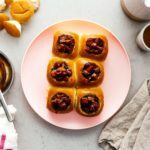 The pull apart rolls are soft and fluffy and crisp thanks to a little bit of butter and the bbq pork is perfectly saucy and just the right balance of sweet and savory. 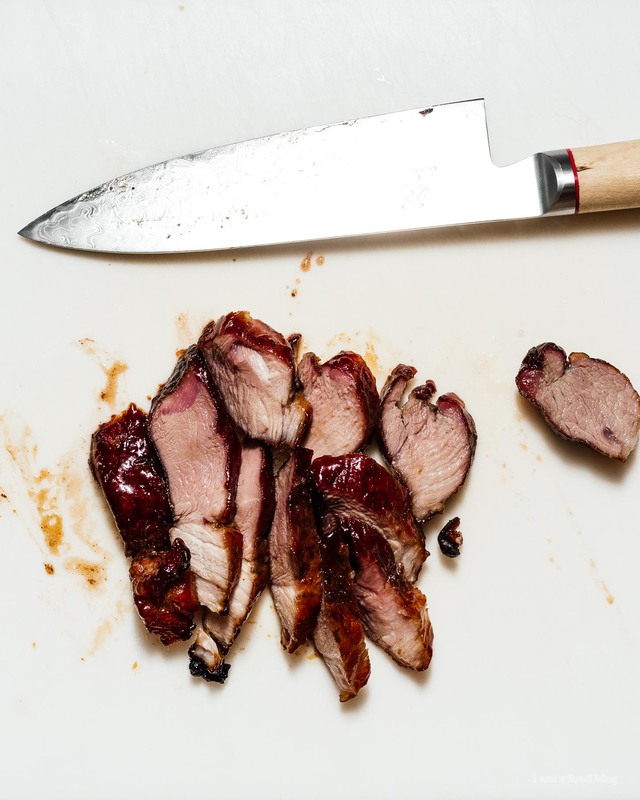 PS – If you need a recipe for homemade char siu, let me know in the comments. I didn’t include it because this is supposed to be a super easy recipe and I didn’t think that making your own char siu instead of going to the Chinese BBQ counted as easy. In a pot, bring the soy sauce, oyster sauce, hoisin sauce, honey, and 2 tablespoons of water up to a simmer over medium heat. Whisk in the cornstarch slurry and cook, stirring, until the sauce comes to a boil and starts to thicken. Stir in the char siu cubes and set aside. Leaving the rolls attached, place the tray buns on a baking sheet and cut a hole into the top of each roll, about 2/3 of the way down. Brush with the melted butter on the insides and outsides of the rolls. Scoop the char siu mix into the holes and place the rolls in the oven and bake until golden, about 5-8 minutes. Remove, let sit for a minute or two and enjoy hot. Yes – 100 times yes, I would like a recipe for homemade charsiu. I saw the post and I was like oh! this would be great for this weekend! and then I was disappointed because there was no recipe for charsiu hahaha. I too would really like the recipe for the pork!!! Would love the recipe for the pork!